Management Team - About Us - Ogene Systems (I) Pvt. 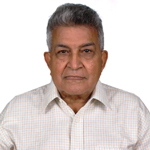 Ltd.
A highly experienced and eminent scientist with over 30 years in IICT and over a decade of experience in Nano Sciences, Dr. Choudary has commercialized several concepts to industrial processes. His vast experience and expertise has helped Ogene to grow rapidly and his eminent leadership ensure a sustained growth path. He has more than 100 granted patents of which 40 are from USA. 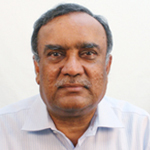 Dr. Choudary has written more than 140 research papers that were published in various international journals and magazines. He is the Editorial Board Member, Journal of Molecular Catalysis (Elsevier) and Board Member of International symposia on Homogeneous Catalysis. 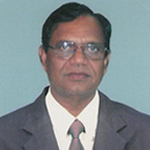 Mr.Devarajan is a Chemical Engineer with B.ScTech (University of Madras) and M.Tech (IIT Kharagpur). He has over 50 years of rich and invaluable experience in Technology Transfer and General Management gained during his long and eventful association with Chemical and allied Industries, as Chairman and Managing Director of Hindustan Organic Chemicals and Indian Drugs and Pharmaceuticals, Group President of Reliance Industries, Group President of Essar Oil, Director for Dr.Reddy's Laboratories etc. He also held coveted positions such as Chairman/Member of Research Council of several CSIR laboratories and served as a Director on RBI Board and BOB Bank. 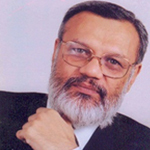 Dr.Yadav obtained his Masters in 1972 and Doctorate in 1976 from India. He has an illustrious Research career of 34 years in Basic and Applied Organic Chemistry that include cost effective technologies for various drugs and eco-friendly pesticides. 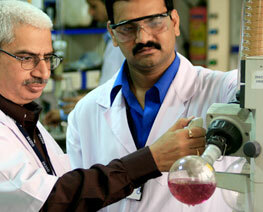 As Director, Indian Institute of Chemical Technology, a premier National Laboratory under CSIR, Dr.Yadav was instrumental in building potential Research Groups and developing various Centers of Excellence with International participation, while being equally adept in guiding more than 130 research scholars for their doctoral degrees, coveting 132 patents, more than 900 scientific publications and 13500 citations to his credit. Dr.Yadav is a fellow of all Indian Academies and also Third World Academy of Sciences (TWAS), and has received various prestigious awards including S.S. Bhatnagar and Ranbaxy. Mr.Gandhi is acknowledged as a Financial Wizard with a vast experience of over 37 years in the Capital and Financial markets in India. During his long career, he was associated with over 320 capital issues and was involved in placement of equity of several companies with retail, High Networth Individuals (HNIs) and Institutional investors, both domestic and overseas. 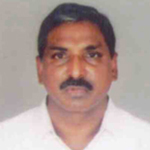 Sri M. Balarama Krishnaiah, Nominee Director of Technology Development Board, New Delhi, is a qualified Chartered Accountant. He has vast experience of over three decades in Project Appraisal, Monitoring, Finance, Accounts, Secretarial and Internal Audit departments. Presently, is working as Director ( Finance ) with M/s. EBC Bearings ( India ) Limited.